I can’t seem to make it all the way to the recycling centre in Charlottenburg. The first time I tried I was carrying a broken television. Like all people who ferry things in the belief they are personally curtailing the effects of global warming, I was feeling pretty smug. But as I approached the centre, I was accosted by a teenage boy. “Are you dumping that TV?” he asked. “Well, sure,” I said brightly, handing it over, pleased not to have to lug it the final few meters to the entrance. Some weeks later, I found myself in the unfortunate position of having to question my smugness. It was all because of a report produced by one of my colleagues about how German electronic waste (even that brought to recycling centres) often ends up in scrap heaps in Africa. The workers there endure hazardous conditions sifting through the rubble, all while breathing in dangerous fumes produced by burning metals. My second attempt to make it to the recycle centre took place this morning. 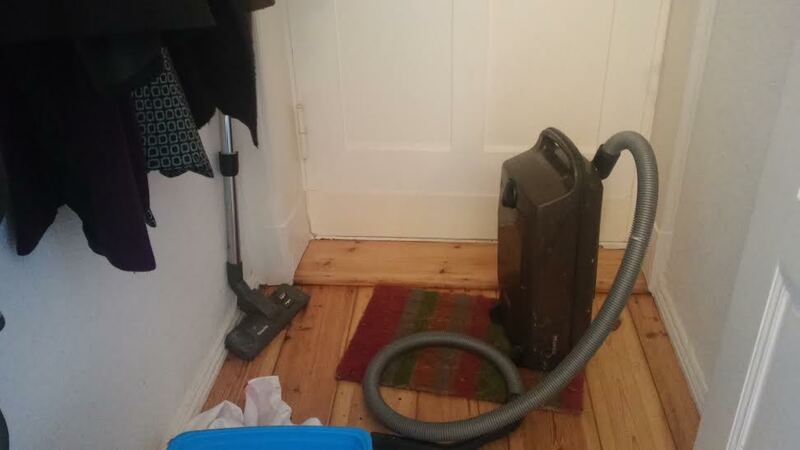 This time, I had a broken Hoover in tow. I’d inherited it from the previous occupant of my flat but decided its time had come when it began emitting smoke. I pulled it by its nozzle all the way down Schlossstrasse, attracting the bemused interest of passers-by. As I turned into the street where the recycling centre’s located, I was approached once again by a teenage boy, possibly the same one. “What do you want it for?” I asked. “Um Himmels Willen, nein!” he said, not without irony. I think we both realised that I didn’t really know what I was talking about. I thought about what a truly ethical person would do in this situation. Even I knew that the chances of the broken TV bringing a glimmer of hope to the impoverished in Bosnia was slim to none. I could have refused to hand it over, gone into the centre to enquire about the kids hanging about outside and demanded to be informed of the fate of a conventionally dumped Hoover. But I didn’t want to be that person. I tried to justify my inertia by thinking about all the potentially criminal things other teenagers not at school could be up to. Hanging around outside a recycling centre soliciting passers-by dumping their used electronics didn’t seem to be the worst way for teenagers to spend their time. So I handed my vacuum cleaner over and toddled home, feeling that oh-so-familiar blend of middle class guilt and inertia. Or more specifically, how to acknowledge them. We’ve all been there: you’re in the office and a colleague sneezes. There’s a chorus of “Bless Yous” or “Gesundheits.” Then they sneeze again. Half of the original well-wishers say “Bless You” again. This time though, it’s a little less enthusiastic. By the third Achoo, the afflicted is lucky if they’re acknowledged at all. 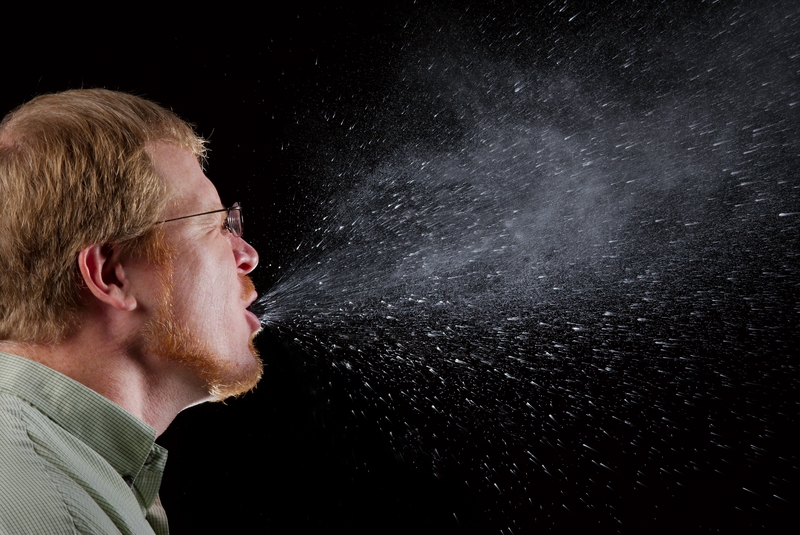 Here’s the question – what is the appropriate way to respond to continuous sneezing? Do multiple well-wishes draw undue attention to the sneezer? Do they feel maligned if you pretend you didn’t hear their second, third and fourth outbursts? This needs to resolved as soon as possible. I’ve had women I thought were old snap at me for offering them my seat and I’ve been glared at by those I deemed not yet to have passed the giving-up-your-seat threshold. I’ve felt the sharp sting of guilt when the person next to me successfully gave up their seat to someone I was on the fence about. I am at an utter loss as to the appropriate behaviour. Look, I’m not the only one who worries about this. This cartoon I found on Reddit says it all. 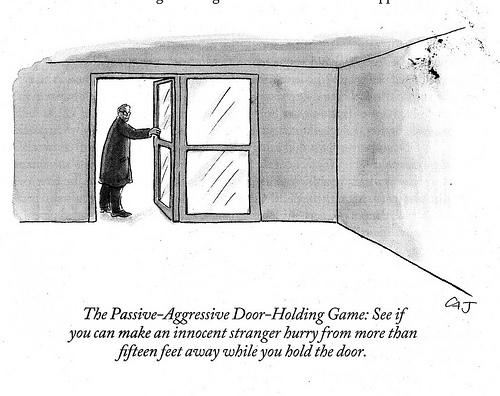 Where is the line between being a nice person holding the door and a nasty person playing mind games? I mean that absolutely literally. How many meters away from the door is a-okay?